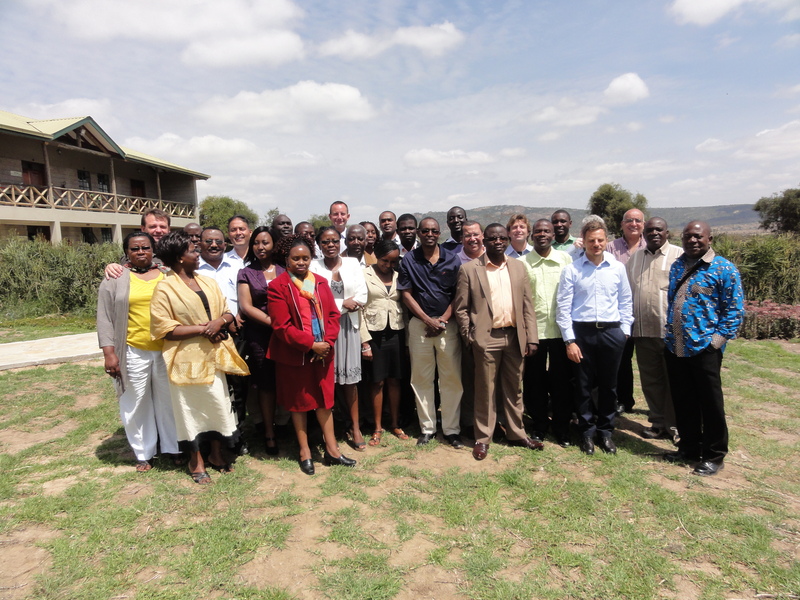 The workshop took place at Maanzoni Lodge outside Nairobi, Kenya. The workshop was in support of seven teams from the Africa Adaptation Research Centres (AARC) working in Benin, Burkina Faso, Egypt, Ghana, Kenya, Tanzania, Sudan, Lesotho, Malawi, South Africa and Swaziland. The objective of the workshop was to support the AARC projects for the effective implementation of the economic analysis component of their research projects. Stakeholders gave updates on their projects and gain valuable feedback from resource persons from EfD, IIED and ACPC. The participants also went on a field trip which involved seeing the adaptation measures being tested at the Kenya Agricultural Research Institute (KARI) in Katumani, and seeing some of these adaptations put into practice at the local level in Mwania, a village about 10 km away from Machakos. The workshop was a success in terms of compiling relevant economics research on adaptation to climate change in Africa and applying this on the AARC projects. The stakeholders spoke of the benefits of having undergone the training and the adjustments they would make to the economic components within their research projects. In addition, the workshop has resulted in increased collaboration between the AARC centres and EfD.